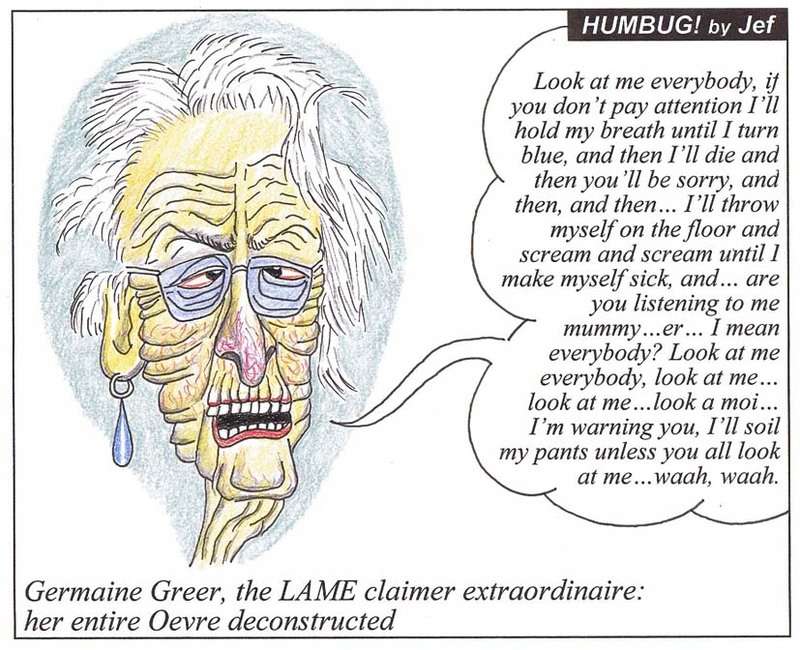 In an article Theo and I published in the Skeptic (Spring 2004 - The Burden of Proof and the Burden of Solution), I coined a term for needy exhibitionists like Greer (LAME commentator - LAME is an acronym for "Look at Me Everybody"). 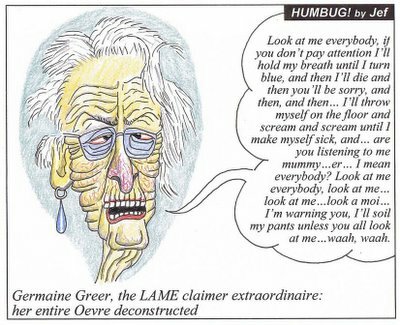 The egregious Greer was, and is an inspiration (see cartoon, further developed from my original in the Skeptic). She has inspired us to officially coin a new fallacy in her honour - the LAME claim.